Duluth! Here we are! - Modist Brewing Co.
MODIST BREWING CO. 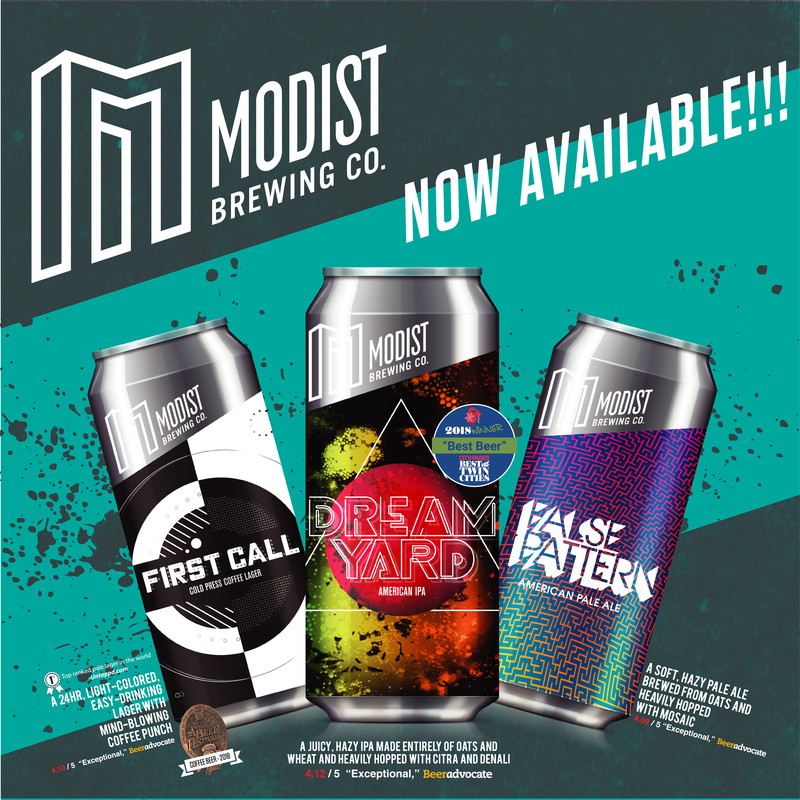 ANNOUNCES IT’S LAUNCHING INTO DULUTH – THE FIRST TIME EVER MODIST CANS WILL BE AVAILABLE OUTSIDE OF THE TWIN CITIES METRO. Modist Brewing Co. is a production brewery in the North Loop neighborhood of Minneapolis. We opened in 2016, and our aim is to modify beer and how it is perceived by defying rules and expectations. We don’t abide by established style guidelines or bend to preconceived notions. We push past traditional brewing by embracing creativity and unconstrained experimentation and taking innovative approaches to ingredients and techniques in order to harness raw inspiration and consistently create new and unique beer experiences. Here’s a good read if you want to learn more. A hazy, juicy american ipa made ENTIRELY from oats and wheat and heavily hopped with Citra and Denali. Notes of pineapple, mango, and stonefruit. One of the only beers in the world made without using barley. It’s a mystery, wrapped in an enigma, inside a coffee bean, inside a lager. A light-colored, easy-drinking beer with a mind-blowing coffee punch. A super soft, hazy, juicy pale ale made from oats and heavily hopped with Mosaic. Notes of mango, lemon, citrus, and pine.